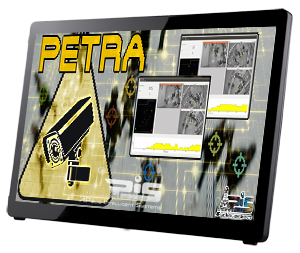 PETRA (PEople TRAcker) is a plugin that can be embedded into a smart video surveillance system, specialized in tracking the people moving in an environment. which paths are followed more frequently? what are the points that most attract visitors? how long stay visitors in certain areas? The system is highly robust to occlusions, since it exploits the redundancy of cameras, and correlates the results of analysis on the different video streams. Click on the monitor to watch a demo video. Texts are in Italian, but You can turn on sliding captions in English, by clicking the captions icon at the bottom right of the window.